2018 was kind to both Cantlay and Reed, although public perception may tell you otherwise. 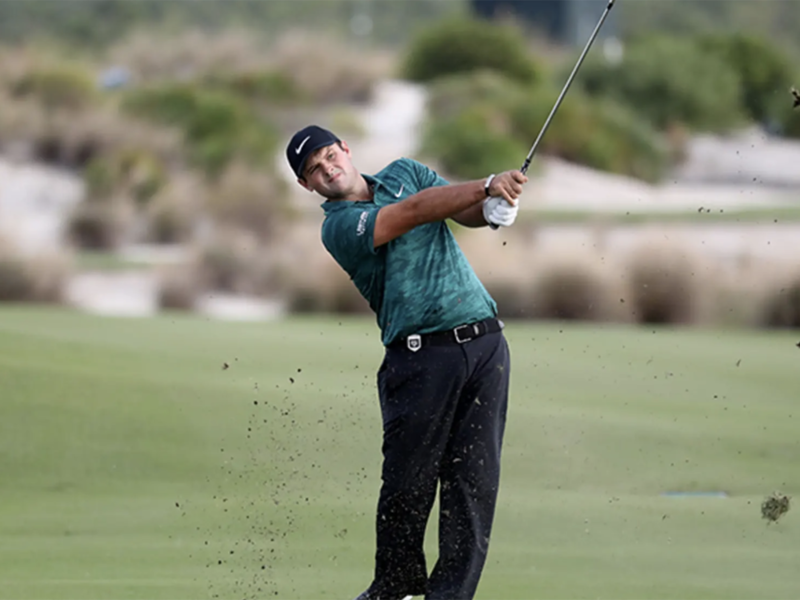 Reed won the Masters, finished second in the Race to Dubai (eye roll), notched seven total top 10s on the PGA Tour and made it to East Lake for the fifth consecutive year. Personal life and surliness aside, he had a great year on the golf course. As did Cantlay. The still-burgeoning tour pro won the 2017 Shriners and has notched eight other top 10s in the calendar year. He made the cut at the final three major championships and finds himself ranked in the top 20 in theworld for the first time in his career. He has battled issues of slow play and has been slammed in the media, but his game still speaks for itself. Anywho, both players fired rounds of 65 on Thursday and find themselves in a comfortable position. The pair actually teamed up for the Zurich Classic this spring, so they will be very comfortable playing together on Friday. Playing in his first event since elbow surgery, Henrik Stenson opened with a 68 on Thursday. He sits just three shots back of the lead. The World #1 carousel continues to turn and it is Justin Rose’s turn to try to take the top spot. He needs a T2 or better this week to overtake Koepka. An opening round of 70 puts him tied for 7th. Tiger showed signs of rust on his way to an opening round of 73. His day was marred by a triple bogey on the 12th hole, but his iron play was off thewhole day. Expect him to reign it in tomorrow. Jason Day opened with a 71 on Thursday. He and his wife Ellie welcomed their second son into the world this month. His name is Arrow...this presented without further comment. Big news out of Houston with Tom Doak set to redesign the popular municipal Memorial Park Golf Course in the hopes of hosting the PGA Tour’s Houston Open as soon as 2020. Doak and Renaissance Golf Design will work with Brooks Koepka as a player consultant on the project. Memorial Park is a popular municipal course that sees upwards of 60,000 rounds per year. Read the full story here. John Senden’s driver snapped during his backswing on Thursday causing a whiff. By rule, he had to take the ball off the tee and count the whiff as his first stroke. The rules of golf are fun! Patrick Reed is leading the tournament but also continuing to talk about theRyder Cup when asked. As you may guess, his comments on Thursday were spicy.